Look at George ! Charlotte too! Mia! The children look lovely and happy. It’s nice to see happy, normal kids who love outdoors and wear pretty, but not overtly pricey clothes. Says a lot about the positive parenting of their parents. So relaxed, all of them? William does not look so relaxed. 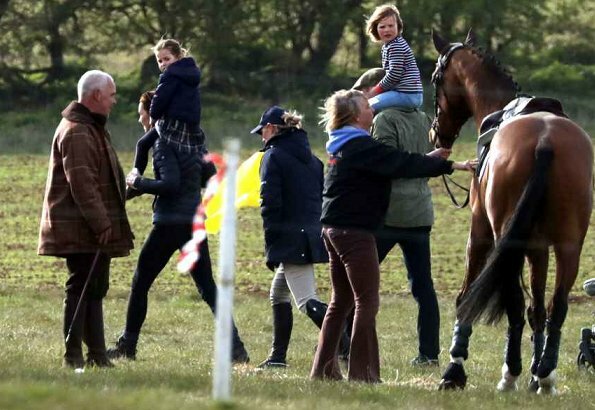 Agree about William and yes the kids are relaxed. 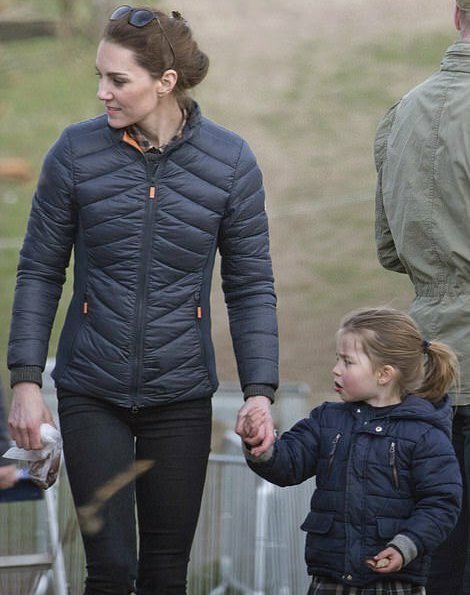 Charlotte seems to be mummy´s girl. George and Mia have fun together, lovely. Lovely pictures an lovely children! 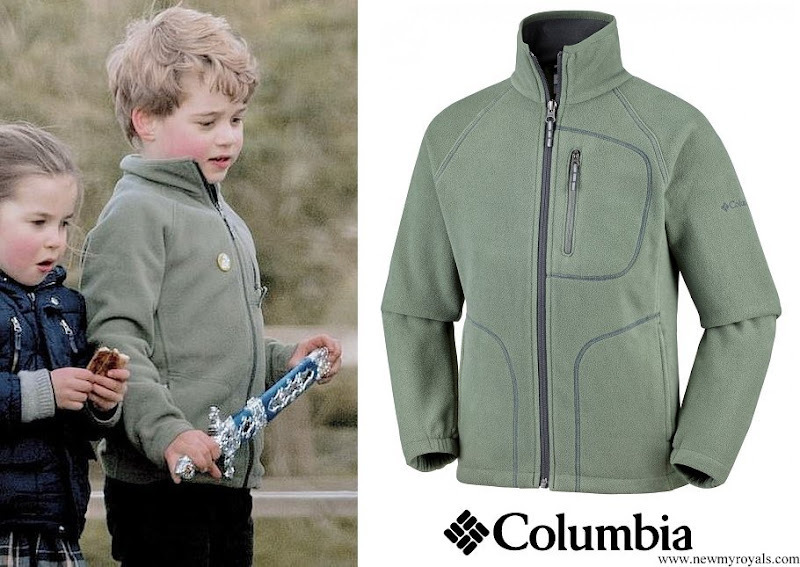 What a fun day for the children.Do like their outfits,like Georges Columbia jacket nice and soft. 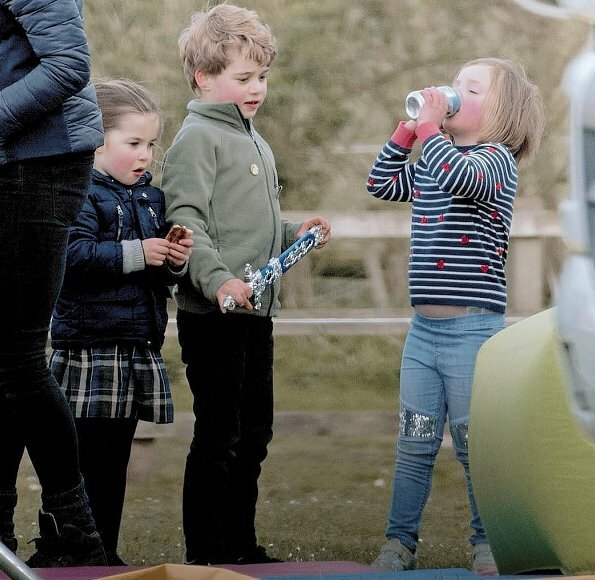 These children really have grown a lot.Waiting for a pic from Louis for his 1st Birthday. Which is unfortunate. There's nothing wrong with little girls wearing pants. 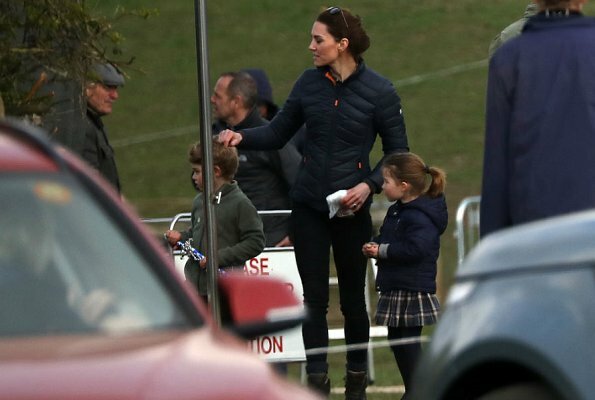 But Kate is so old fashioned in the way she dresses Charlotte. And why is she always wearing blue? I think the swedish royals have the best dressed children. 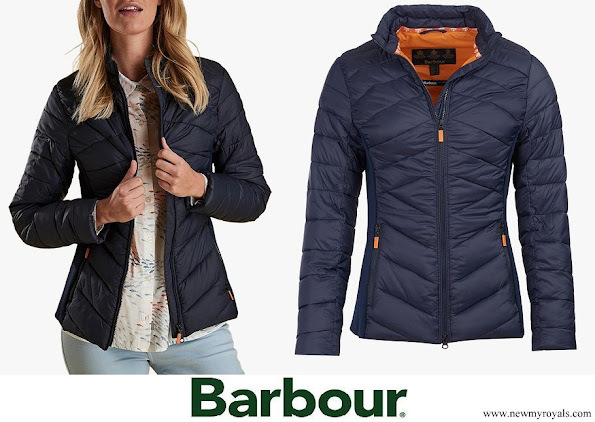 A good balance of modern, not too trendy and not too traditional. Agree about the best dressed children. 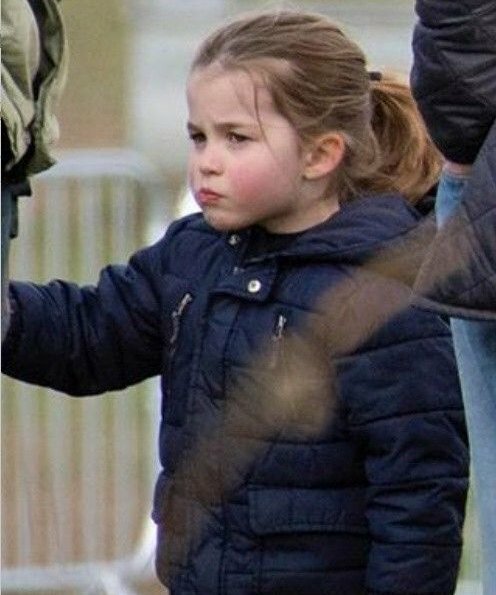 When my daughter was Charlotte’s age, she refused to go out in anything other than skirts and dresses. No WAY would she wear jeans. 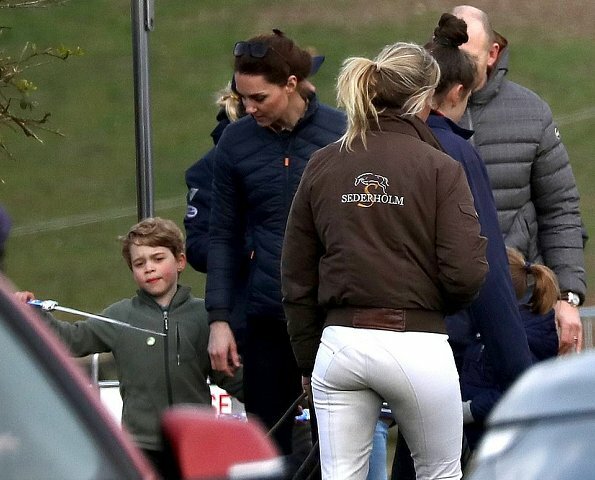 Who knows, maybe Kate was making the best of the situation putting Charlotte in a skirt and thick leggings? Will doesn’t look stressed, he looks cold. I’m guessinf he underestimated how many layers to put on. 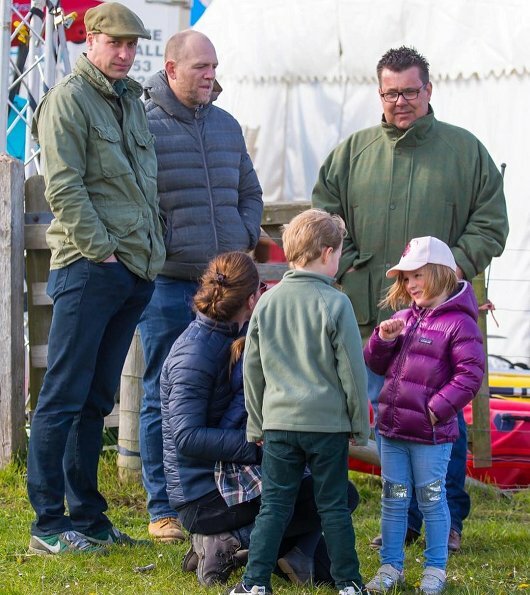 Mike Tindall has warm boots on, Will has trainers on which are cloth and not warm. Silly Will. Why do the Swedish kids always wear pale grey or pale blue clothes? Super cute kids. 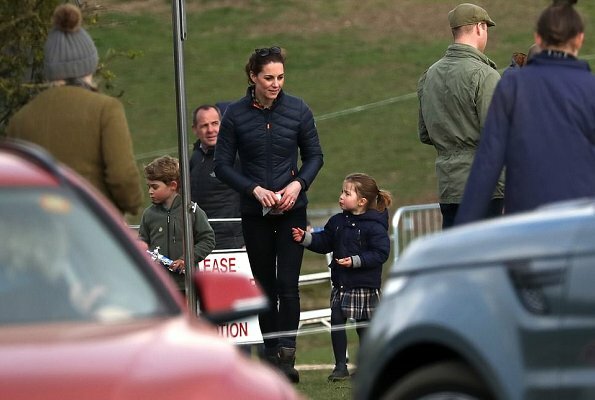 Lovely to see the interaction between the two families. 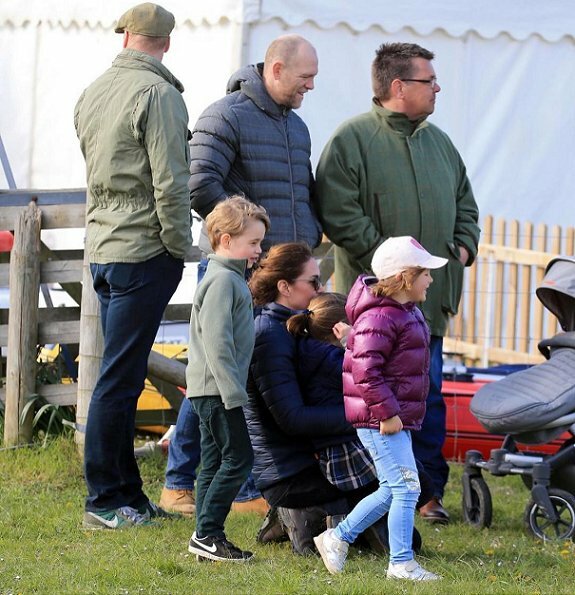 Oh lala, on the last photo, little prince George looks like her grand-mother Diana when she was a little girl ! Charlotte is lovely ! Oui, un vrai Spencer ! George is a mini version of Mike Middleton... I guess not surprisingly so. 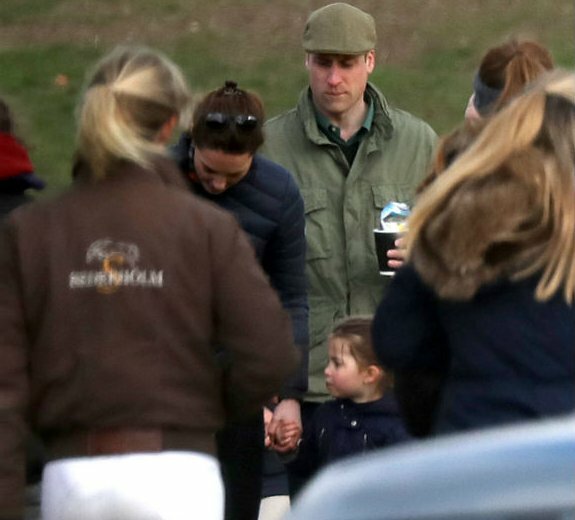 Quite lovely to see them all out as a family (even if William is stressed out, he seems to enjoy certain moments nonetheless). 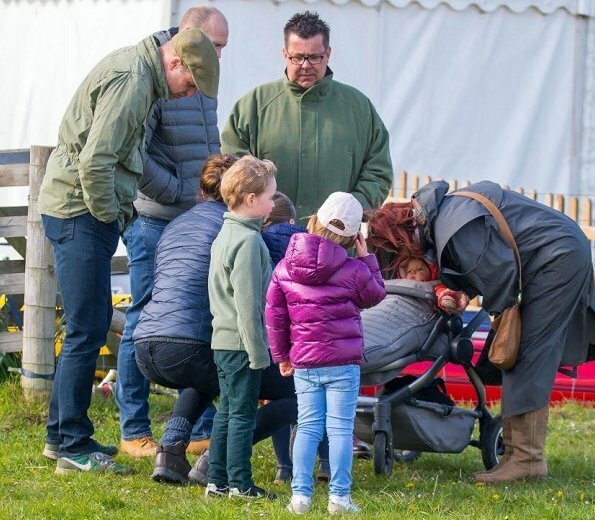 Clearly Kate planned the outfits - we just need to accept that their kids will never be quite 'normally' dressed (which I find slightly ironical, since they keep emphasizing how they want their children to live as much as possible a 'normal' life... I guess that declaration of intent stops when it comes to outfits). The children's clothes are modern both Mia and Charlotte are dressed appropriately. I have taught children over 30 years in a variety of environments and find their clothes very normal! Some little girls like dresses, while others prefer pants. 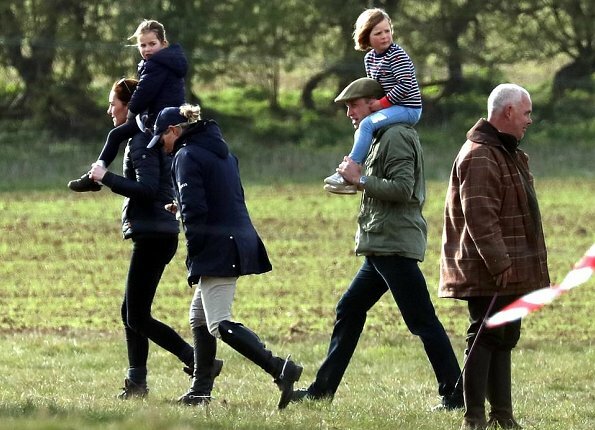 If Catherine is choosing their clothes (which we do not know one way or the other) then she is doing a good job of dressing children in a very normal way.